What can neuroscience contribute to the psychodynamic understanding of creativity and the imagination? 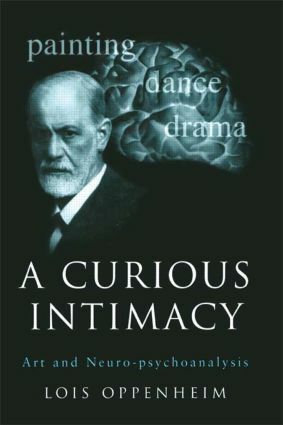 A Curious Intimacy is an innovative study into the interrelation between art and neuro-psychoanalysis which significantly narrows the divide between the humanities and the sciences. Situating our grasp of the creative mind within the historical context of theories of sublimation, Lois Oppenheim proposes a change in paradigm for the study of the creative process, questioning the idea that creativity serves, above all, the reparation of early object relationships and the resolution of conflict. The book is divided into two parts. Part One, Art and the Brain, introduces the field of neuro-psychoanalysis and examines the contribution it can make to the discussion of gender and art. Part Two, A New Direction for Interdisciplinary Psychoanalysis, draws on the verbal and visual artistry of Samuel Beckett, Paul Klee and Martha Graham to put to the test the proposed new direction for applied psychoanalysis. Lois Oppenheim concludes by addressing the future of psychoanalysis as it becomes increasingly informed by neuroscience and raising questions about what the neurobiology of emotion and feeling has to tell us about the creative experience of an individual and what might constitute a 'neuro-psychoanalytic aesthetics'. A Curious Intimacy will have great appeal for all those interested in the study of imagination and creativity. It will also be of particular interest to students across the humanities and sciences and to psychotherapists and psychoanalysts wanting to explore the contribution that neuro-psychoanalysis can make to our understanding of the creative process.